Ticks are nasty little bugs that carry and transmit many diseases. Some of these diseases are more common, like Lyme disease and Rocky Mountain spotted fever. One tick-borne disease you might not have heard about is tick paralysis (also called tick-bite paralysis). Tick paralysis in dogs may even cause the terrifying symptom of complete paralysis in dogs. First, what is tick paralysis in dogs? Tick paralysis in dogs may come on suddenly. Photography ©dimarik | Thinkstock. What are the symptoms of tick paralysis in dogs? Dogs suffering from tick paralysis can’t stand or walk, have difficulty eating and drinking, and might vomit. 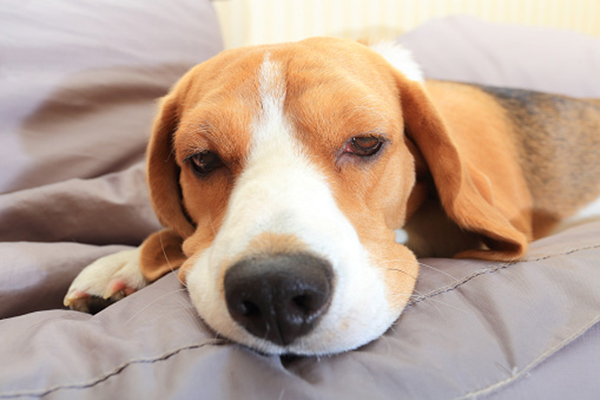 Sometimes tick paralysis in dogs affects breathing, as well. Symptoms are not always immediate and can appear a week after the tick first latches onto the dog. Dogs who are most at risk include those who walk or hike in wooded areas or tall grass, but any dog can pick up a tick and be affected with tick paralysis. How is tick paralysis in dogs diagnosed? In a case of suspected tick paralysis, after removing the tick, the vet will monitor the dog closely and might offer supportive therapy like IV fluids or medications. Because tick paralysis is somewhat rare and because the tick is not always evident, cases may be missed. When tick paralysis in dogs goes undetected, some people even decide to euthanize the dog rather than watch them suffer because the paralysis is total and is extremely distressing to witness. Tell us: Have you ever encountered tick paralysis with your dog? Thumbnail: Photography ©stonena7 | Thinkstock. The post Let’s Talk Tick Paralysis in Dogs: Symptoms, Diagnosis and Treatment appeared first on Dogster.